I'm back from my appointment and Mei-mei once again scored 10 out of 10. The kids and I celebrated by working on an art project this afternoon - painting a rainbow on my belly! what great videos. kids are the funniest. i loved their reactions. way to go mei mei! i desperately need to work on my videos and photos as well. It's getting so close! I'm so thrilled for you! Your Kiddo's are adorable! Can't wait for them to be a trio! 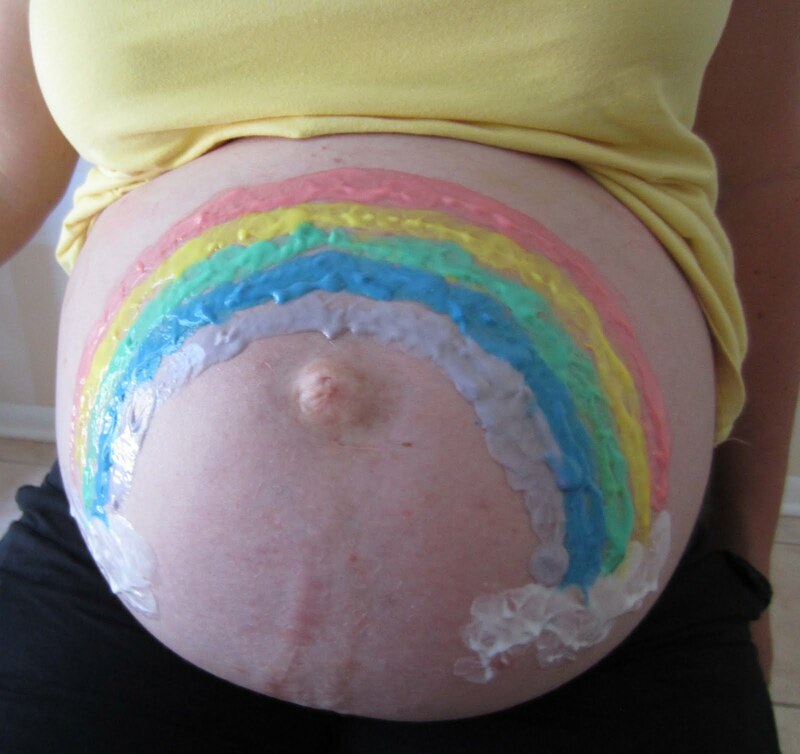 I love your rainbow - what a great idea! Your kids are adorable. I love the way you presented their new baby sister to them. Really cute... and the look on their faces is priceess.